After the iPhone arrived in Summer 2007, app developers lost little time in exploiting the camera and touchscreen functionality. Very soon the world saw a host of low-cost creativity tools and gadgets and innumerable retreads of wacky photo apps. Fast forward to today and Apple's latest pocket powerhouse like the iPhone X offer Super Retina HD display, 64-bit performance, super-fast processors and super-powerful cameras. 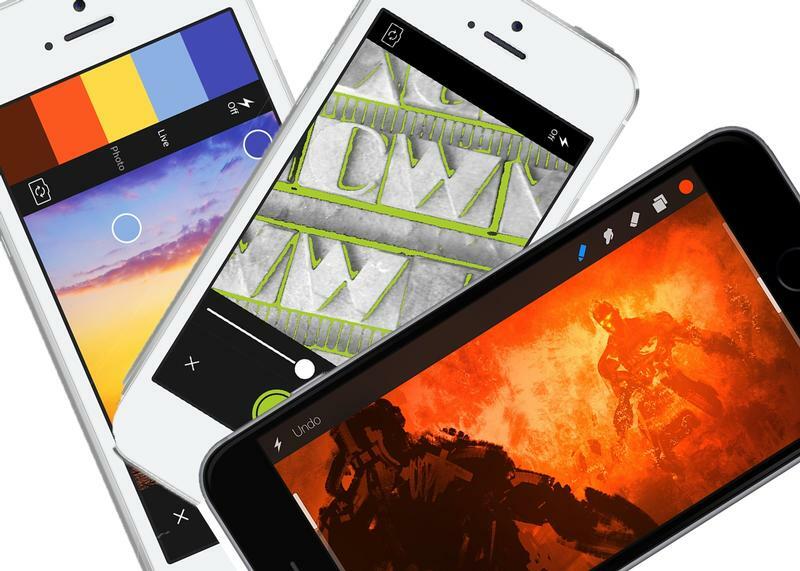 Among the old stalwarts and new arrivals of creative apps, there are some gems that should be on the home screen of any digital creative with an iPhone, and we've chosen a selection to get you inspired. If you want to take your digital art even further, check out our round up of the best iPad styluses for artists and designers. Of course, in a round up of digital art tools it's only reasonable to start with Adobe. 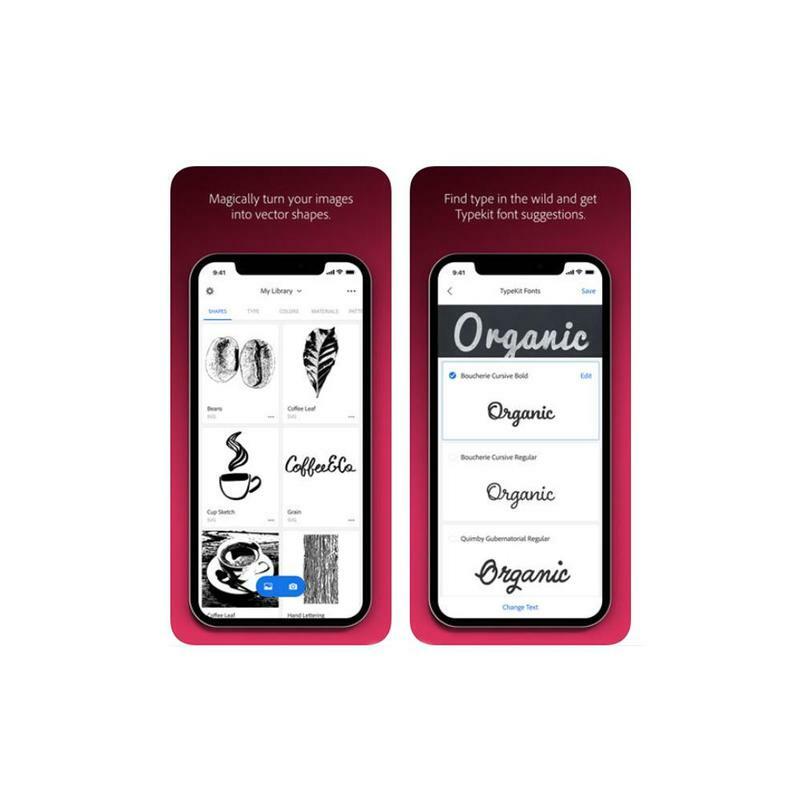 Photoshop Sketch is free app for iPhone and iPad too, as it is is optimized for Apple Pencil. It is essentially Photoshop's brush wheelhouse packed into an app form; you can choose from over 24 brushes with the flexibility to control size, colour, opacity, and blend modes. You can also import brushes from Photoshop if need be. Plus, Creative Cloud users can send their work to Photoshop CC or Illustrator CC if you want to work on desktop. If you're a vector artists, chances are you've used Illustrator – so why not make the best of the light iOS version for drawing on the go? Illustrator Draw includes shape stencils to improve your workflow and five customizable brushes with opacity, size and colour control. You can work in layers, and on a canvas up to 8K in size, which is 27in by 27in at 300dpi if you're printing. You can zoom into your work up to 64x to work on finer details too. Like Photoshop Sketch, you can connect to your Creative Cloud account and send your work to desktop apps Photoshop and Illustrator (obviously). Capture CC is an essential tool for any digital artist who seeks inspiration from the real world. In a nutshell, Capture lets you use your pictures and convert them into digital assets. 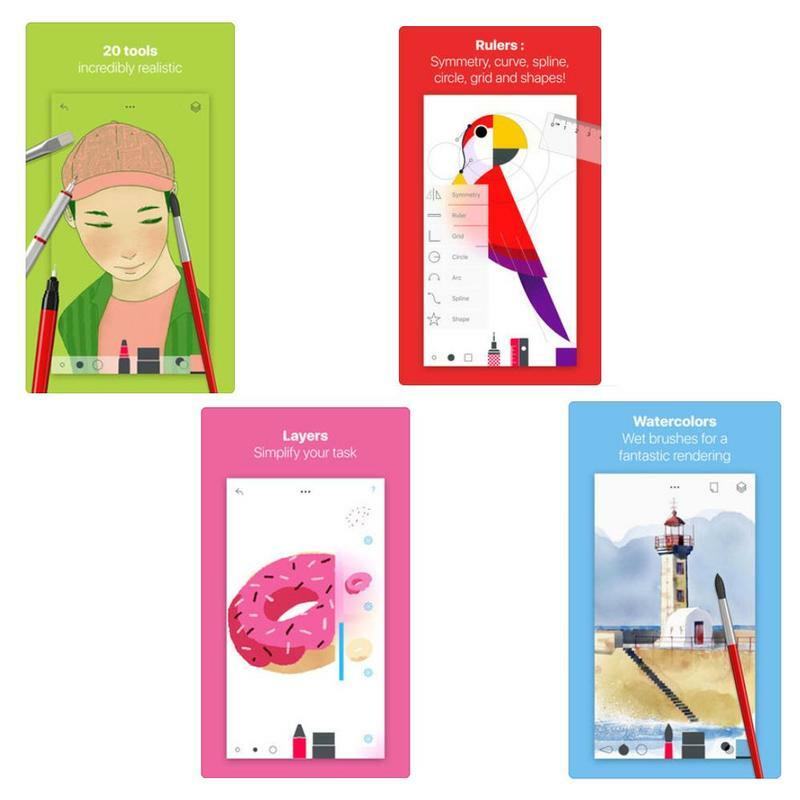 You may recognize some of its features from previous Adobe app like Brush, Shape and Colour – which are now discontinued. Capture consolidates the best of those apps into a friendly interface. With Capture, you can use your pictures to create vectors, extract specific colours, make patterns, and even "capture" fonts you see out in the real world. For this last feature, simply take a picture of typography that's caught your eye, perhaps in a magazine or on a poster, and the Adobe TypeKit will match that font for you. Best of all, Capture is free to download. Tayasui is a sophisticated, yet user-friendly, drawing and painting app with a long list of tools and features that's sure to excite any digital artist. Tayasui prides itself in offering "ultra realistic" art media tools like felt pen, oil pastel, watercolour (dry and wet brushes), acrylic brushes and more. Tayasui supports Apple, Wacom and Adonit Styluses if you prefer to work from your iPad instead. There's also the Pro version for £5.99/$5.99 with more advanced tools. 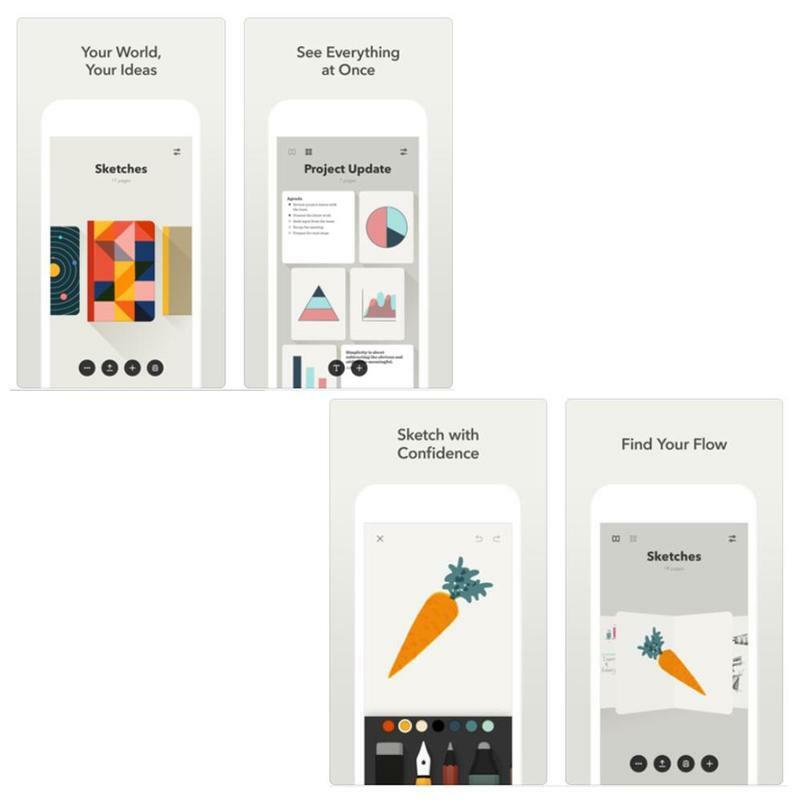 This app is not only excellent for artists to sketch out ideas, but also useful for note-taking and diagramming. Paper offers an auto-correct feature that snaps rough lines in place for cleaner sketches too. The interface is simple so you can focus on your drawings and notes, instead of being distracted by sliders and menus. There's also a Pro version if you want even more creative flexibility. You can access the Paper Pro through the Settings menu once you install the free app. Sketch Club may cost you £2.99/$2.99, but in exchange you get a powerful app that includes tonnes of useful tools, presets, filters, and supports up to 64 layers with blending modes. 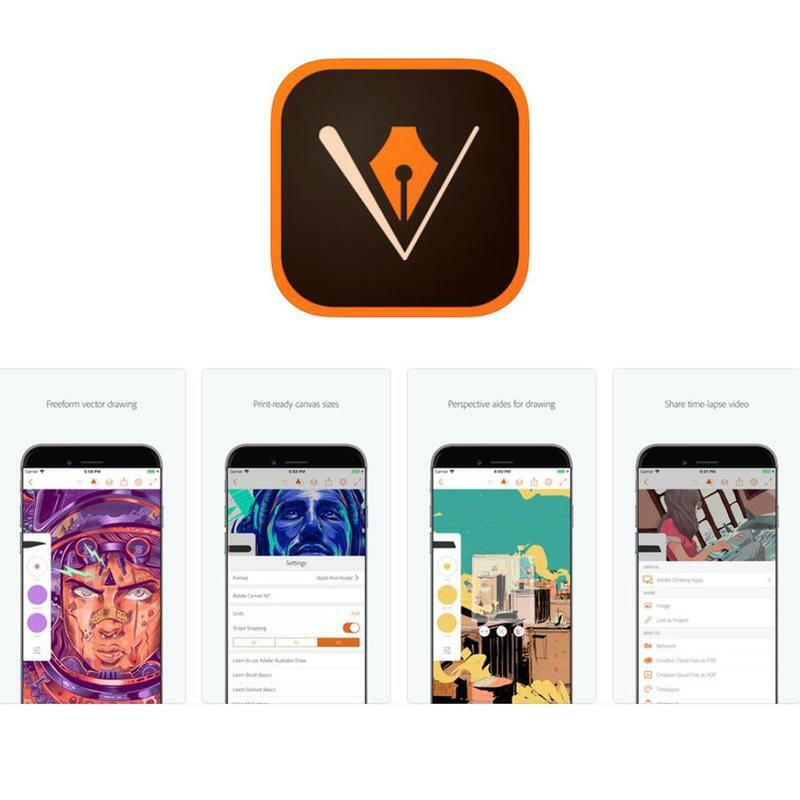 Sketch Club, with its strong community of users, is also a place where you can share your art with fellow Sketch Club members. 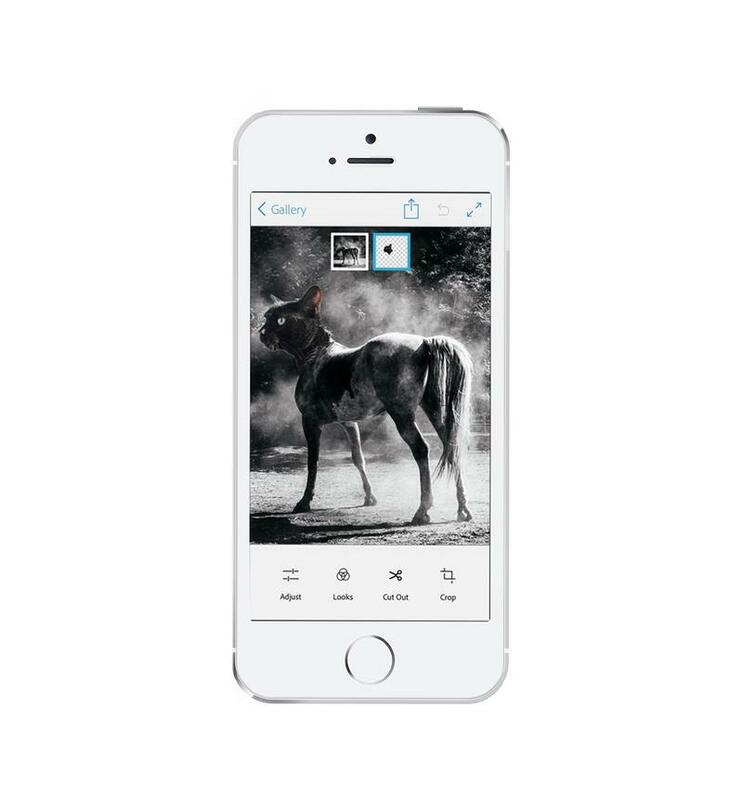 The app lets you record your canvas too, at 1080p, and sizes up to 16K pixels – which means you can print in 300dpi. The brushes are high resolution, and you can share custom brushes in Sketch Club's community library. Sketch Club supports vector art as well, so you can smooth filled shapes and lines. A useful autosave feature prevents unfortunate loss of work. Plus, you won't see any in-app purchases or ads. 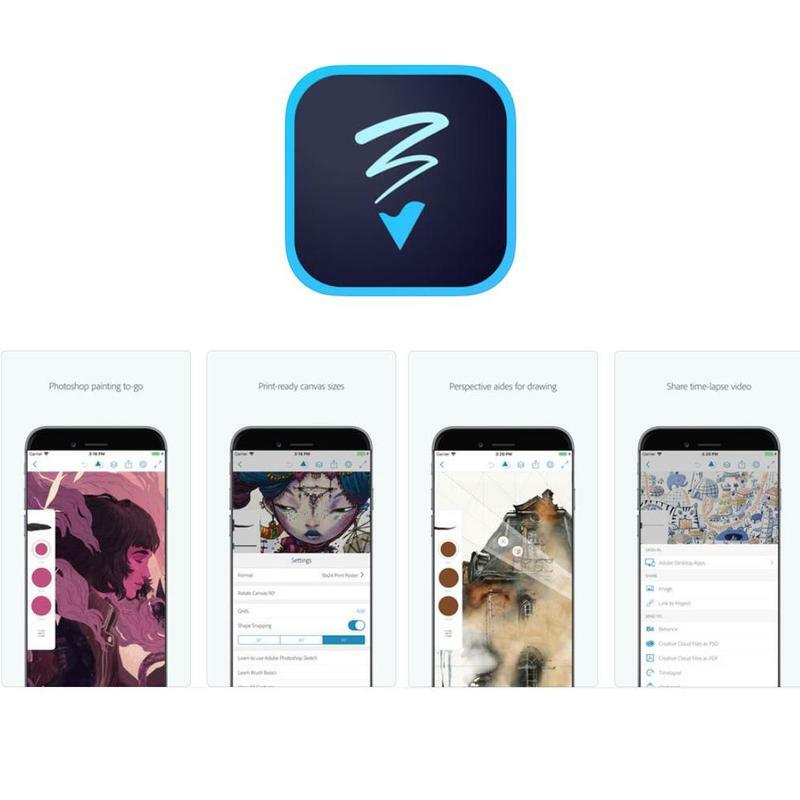 “The best sketchpad is the one that’s always on you” so says James Cuda, CEO of Savage Interactive, who released Procreate Pocket, the iPhone version of its Procreate iPad app for mobile art creation. 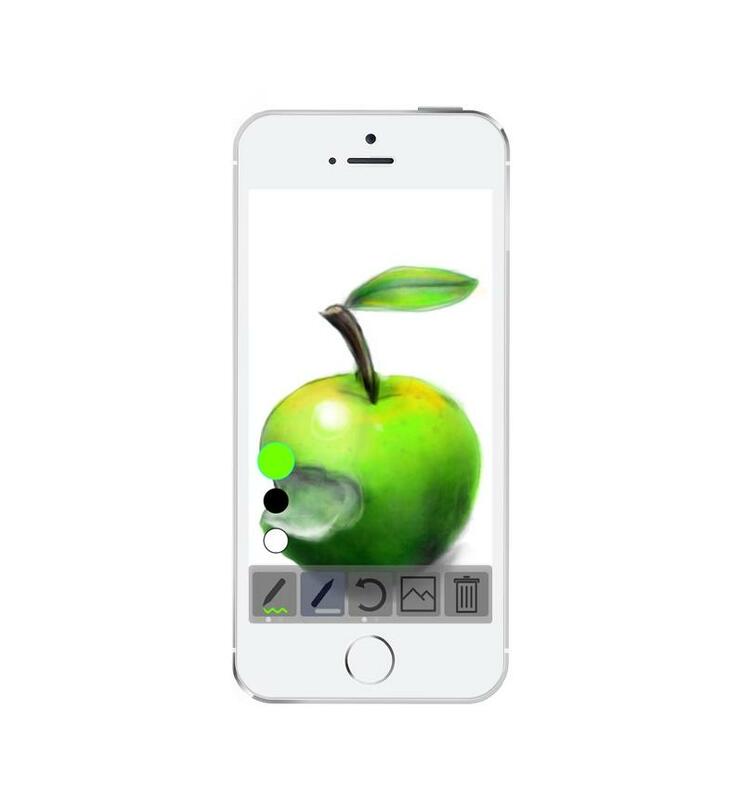 The 64-bit Procreate Pocket (£4.99/US$4.99) offers 3D Touch sensitivity so that your strokes respond accurately to pressure. 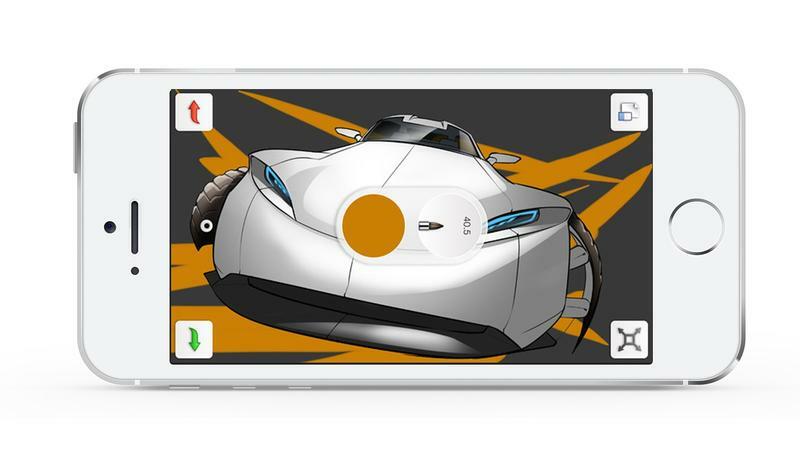 It offers haptic feedback as well to replicate the authentic drawing and painting experience. 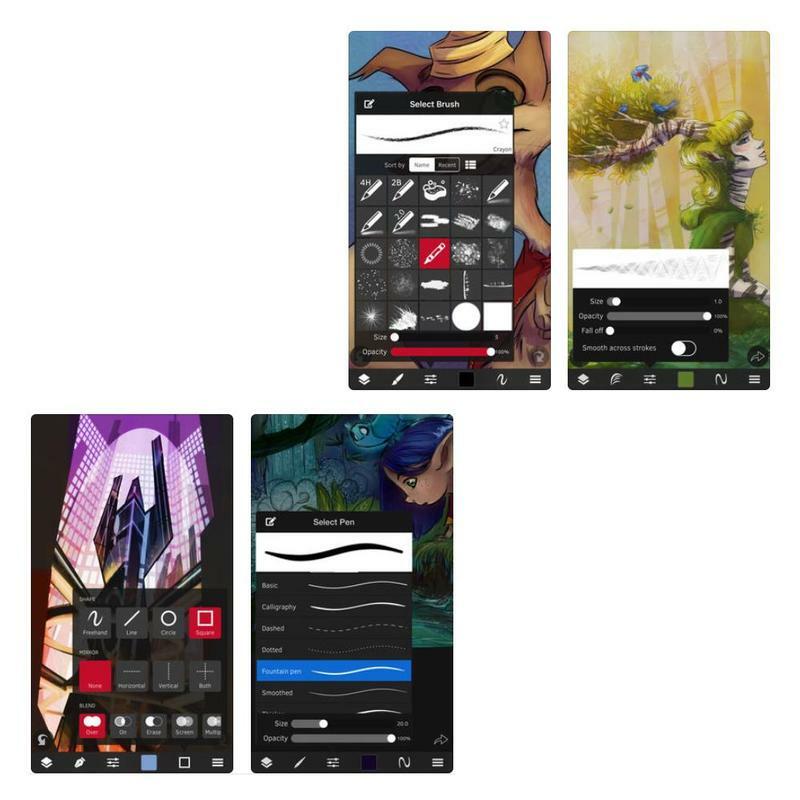 The app offers 136 customizable brushes with over 50 settings to choose from. Other creative tools you have access to include Image Curves, Colour Balance, Sharpen and Gaussian Blur. You can also take advantage of the Move tool, distort, shear and colourDrop. 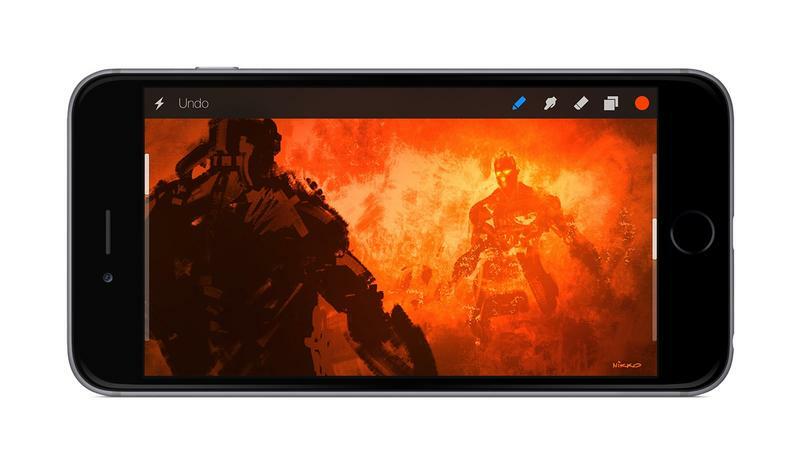 Procreate Pocket allows up to 250 undo commands. Plus, in terms of saving and sharing, files can be exported into the native .procreate format and PSD (both which allow saving layers), and flat image files like TIFF, JPG and PDF. You can export and save files via AirDrop, iCloud, Dropbox, Google Drive and other cloud services. Asketch is a simple procedural sketching program intended to give a charcoal feel to your art. Andrew Kern designed the £2.99/$2.99 tool from the ground up to take advantage of the multi-touch interface of iOS devices, and to allow you to forget about the tools and concentrate on your work. Asketch makes great use of gestures. Zooming is accessed via a reverse pinch when the menu is displayed and thereafter allows you to do detail work without any brush pixelation. Another pinch will scale or rotate the image, while a swipe gesture on the pencil button switches back and forth between hard and soft drawing modes. You can undo mistakes up to 20 times. Additionally, tapping the selected pencil allows you to toggle between black, white, and coloured drawing, while rotating on a two-finger-pinch increases the pencil line weight. This £4.99/$4.99 photo-editing and painting app by Katerina Alieksieienko offers an extensive range of brushes (you can also import your own Photoshop brushes) and over 300 effects, which range from simple image adjustments to complicated transformations. The app has a sophisticated interface, offering textures and painting presets, as well as tools like history, masks, text and distortion. The developer promises there will be no in-app purchases and that the app is updated based on requests from the sizeable Facebook group community. You can also follow iColorama on Instagram. Photoshop Mix brings the compositing power of Photoshop to the iPhone for easy-to-use photo editing on the move. Non-destructive photo enhancements, selections, the ability to cut out and mix images, and more are part of a Creative Cloud connected workflow. Photoshop Mix steers close to 'fun app' territory by allowing you to cut out and combine image selections, apply presets and automatically enhance or adjust an image. However it can also open Adobe Photoshop documents, individual layers from PSDs, and images from Adobe Lightroom mobile. The app requires you to sign up for a free Adobe ID login, which you can create within the app. Autodesk SketchBook is a professional-grade painting and drawing application with a straightforward interface so you can focus on your art instead of complicated menus. The tools remain hidden when you're working and return to view when you need to change your medium. SketchBook also makes the best use of the camera on your device – you can easily scan a physical sketch by taking a picture. It imports the scan with a transparent background so you can dive right into inking and colouring. You have access to over 190 customizable brushes which can be textured or shape-based, and an exclusive Copic Colour Library. Our final app isn't purely an artists' tool, but a collaboration app designers of many types may find useful. Autodesk 360, or A360, lets you review, edit, and share 2D and 3D files, with support for over 100 CAD file formats. You can get feedback in real time and invite others to comment while viewing the design file. Design files can be stored on the Cloud and you can access data offline too. 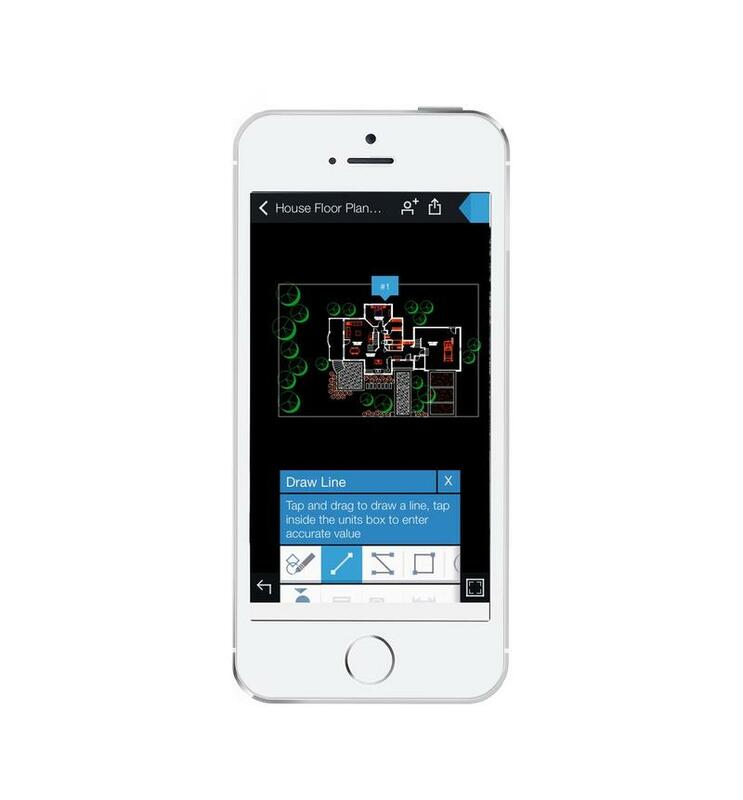 The app is equipped to navigate large-scale drawings. You can isolate and view object properties, look into model parts and layers, and even measure the distance, angle or areas between points. A360 supports uploading direct to Cloud services like iCloud, Dropbox, Box, Google Drive, OneDrive, and Buzzsaw.